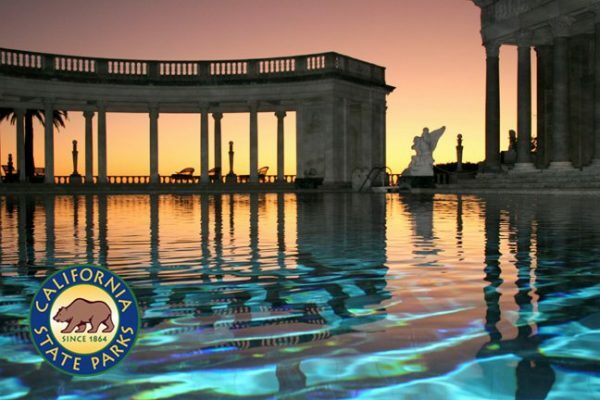 The iconic 345,000-gallon Neptune Pool at Hearst Castle is getting filled with water again after sitting empty for the better part of five years because of leaks and the California drought. Several years ago, workers determined the pool was leaking an estimated 5,000 gallons of water a day. The pool was then drained, albeit it was briefly refilled for a controversial Lady Gaga video shoot. Recently, California state parks has been engaged in a $5.4 million renovation of the Neptune Pool. The renovation project is now in its final phase. 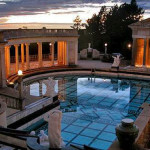 Workers were scheduled to start refilling the pool at 8 a.m. Tuesday, according to Hearst Castle. Following a 14-day test period, workers will begin removing the remaining equipment from the project. The pool will not be totally accessible to tours and visitors until the final phase of the project is complete in two to three weeks. In the meantime, the pool remains visible from various spots at the castle. ← Previous Previous post: Did Grover Beach waive rules for one public official’s candidacy?